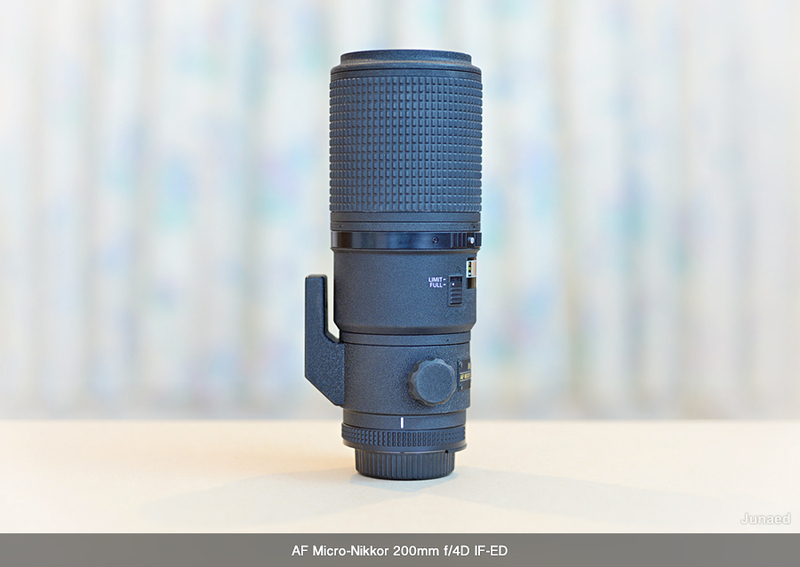 The Nikon AF Micro-Nikkor 200mm f/4D IF-ED was released back in 1993. When most of the lenses are updated at every 6 to 10 years, this lens is standing in production line for more than 21 years. Seems quite interesting isn’t it. After using this lens for quite some time, its pretty much clear to me why they are reluctant to update it. I’ll share my experience which will give you some clue about it. Holding the lens for the first time doesn’t give the smooth feel of a modern lens. Its old fashioned and built like a tank. Very strong metal body, with broad rubberised focusing ring. At 1185gm its heavier than other Micro Nikkors but less than the AF-S Nikkor 70-200mm f/2.8G ED VR II. Without the lens hood it quite reasonable in size. It is a “IF” (Internal Focusing) lens, so the front part of the lens doesn’t rotate like many other old Nikkors. The filter thread is 62 mm like rest of the Micro-Nikkor Lenses. The lens body has a textured matt finish which is really nice. The focus limiting switch located at the left side, is handy to make focusing quicker if you are not doing macro work. Setting the switch at LIMIT mark will make the lens focus from 2-ft 5-inch to Infinity. The built in tripod collar is very sturdy and smooth as well. 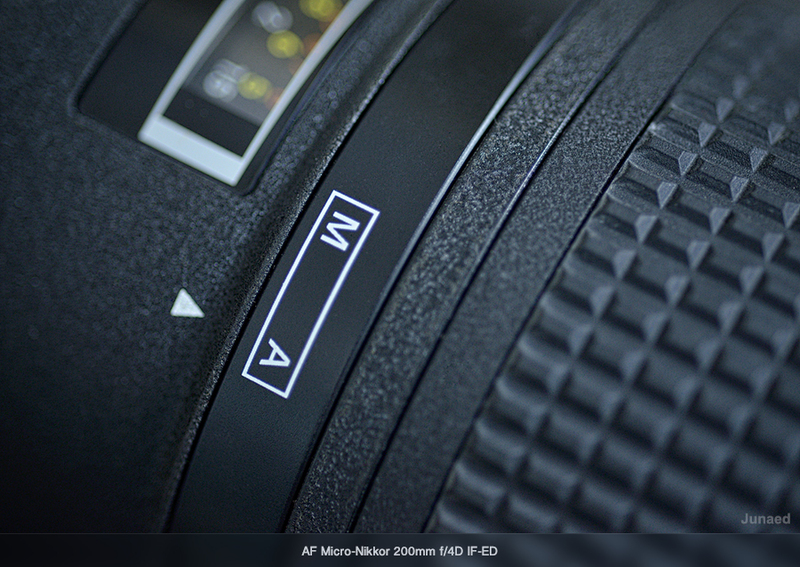 For switching auto-focus to manual focus you have to push the small silver button in M/A ring, then rotate it. This is something which I really dislike. Due to long involvement in macro photography I have to use this ring a lot. Mine and many others M/A ring has cracked around the screw next of silver button. I had to replace this ring from Nikon Service Centre and it doesn’t work as smooth as before. The back side of the lens is little different. Watch carefully and you can see the back end of lens is rectangular instead of circular. As a result you can’t use a Tele-converter with this lens. 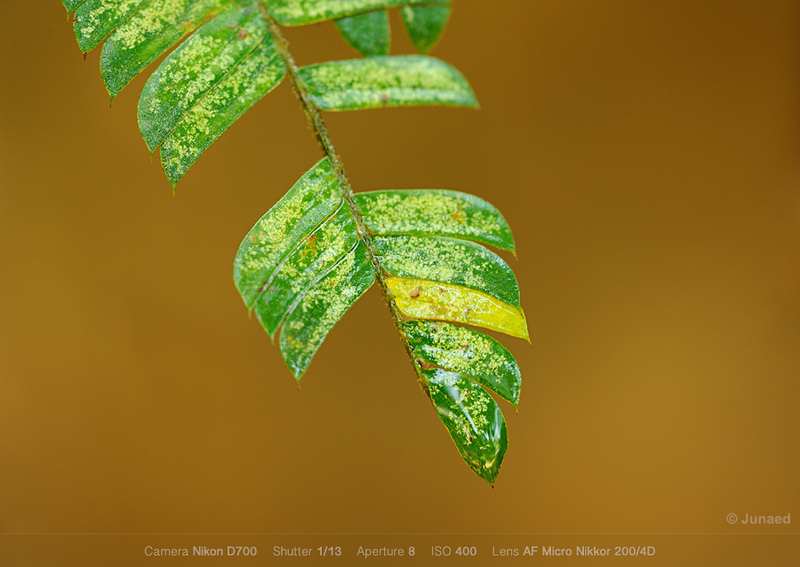 The AF-S VR Micro-NIKKOR 105mm f/2.8G IF-ED does accept Tele-converter. Focusing ring is a very important component of a macro lens. If a macro lens lacks a good manual focusing ring its not worthy for me to purchase it. 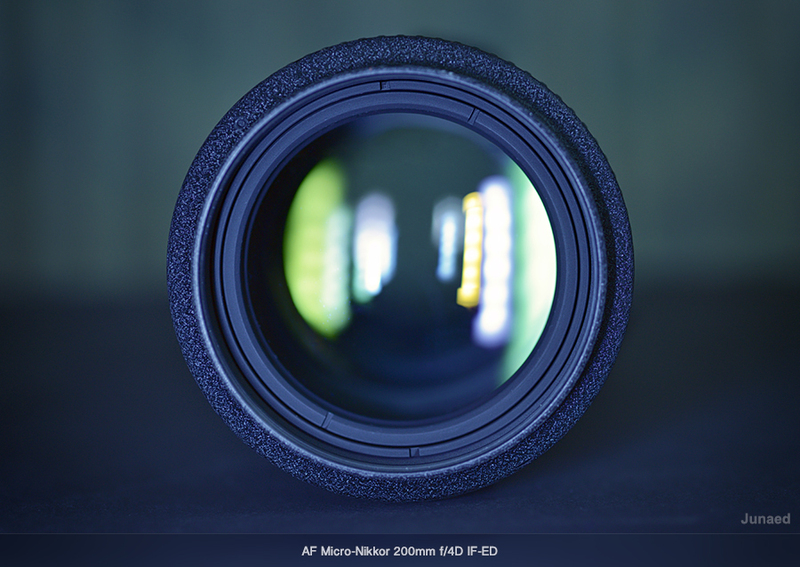 The AF Micro-Nikkor 200mm f/4D IF-ED has a very well dampened focusing ring. 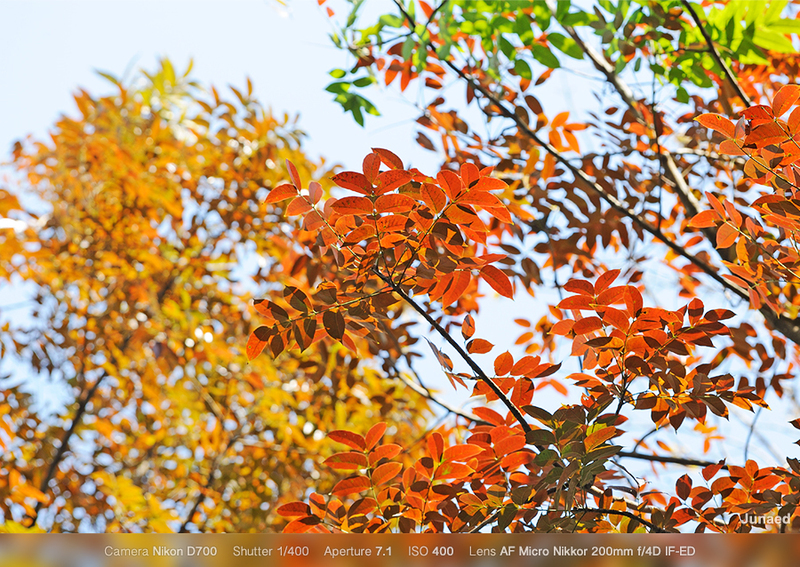 Its helps a lot for manual focusing. Most modern lenses have some issues with manual focusing, there is some degree of lag as you rotate the ring. But this old Nikkor is a solid performer. Auto focus isn’t very fast, but good enough for most work. And it doesn’t hunt much at close distance while doing macro work. However its not quick enough to focus on flying object at close range like a bee. 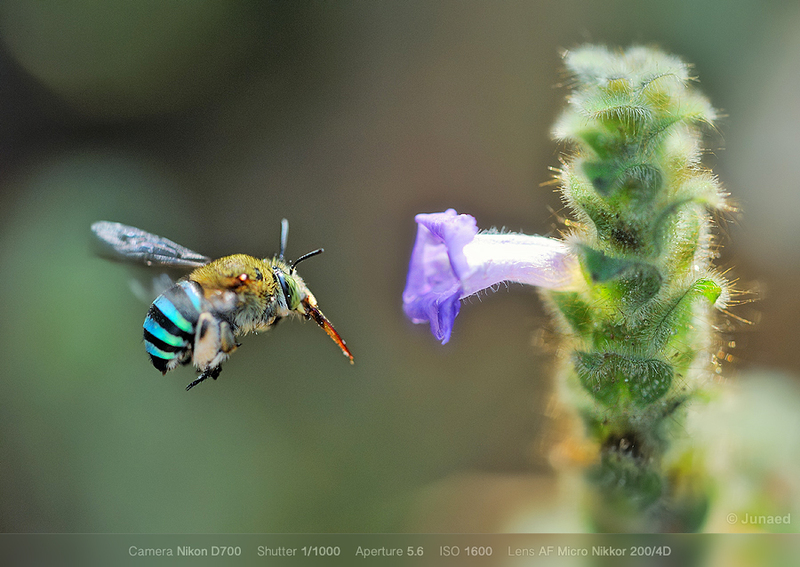 The example image of flying Blue-Banded bee below was shoot handheld with manual focusing. 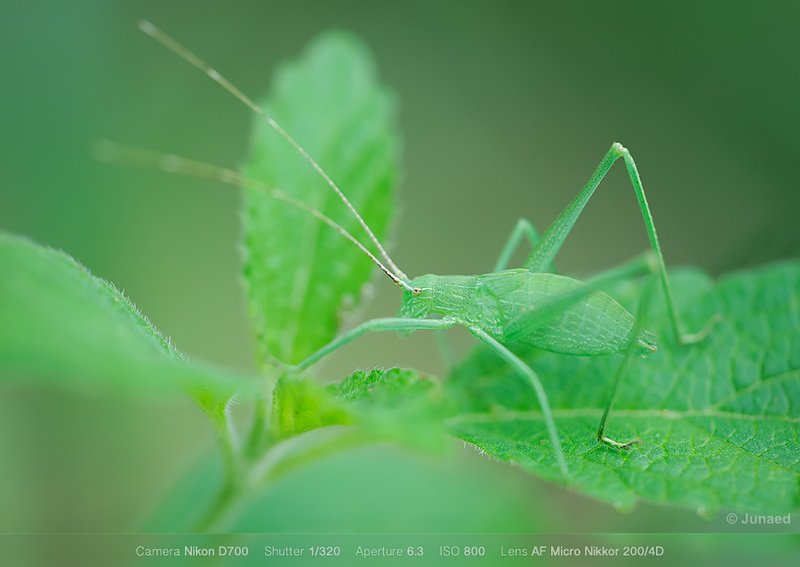 The arc of rotation is also critical for a macro lens. 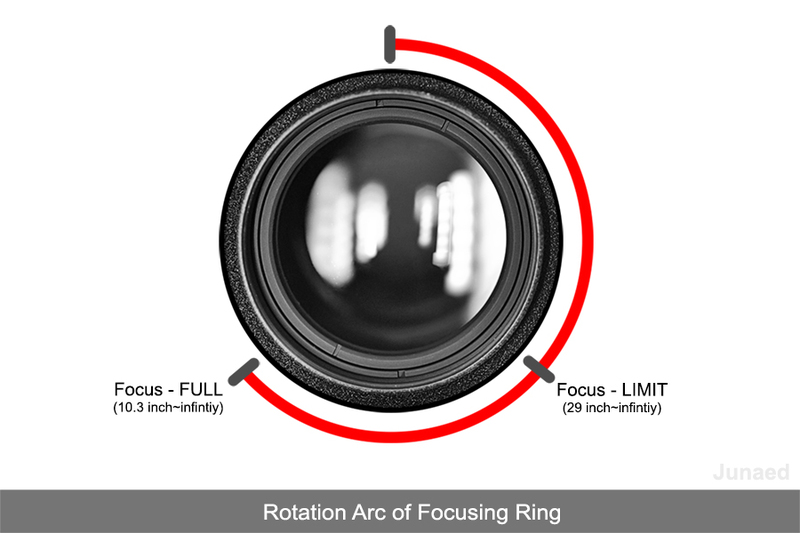 The focus ring doesn’t travel long in a regular lens and even if it does, it is optimised for distant object. You need the opposite for macro photography. The following diagram shows the total arc of rotation of this lens. This is not millimetre perfect but gives you a gross idea, how long the focusing ring travels. The free working distance of this lens at 1:1 magnification is around 10.3 inch. This means the front of the lens will remain 10.3 inch away from the subject. Which is very good for doing close up photography. I really loved the focusing behaviour of this lens more than AF-S VR Micro-NIKKOR 105mm f/2.8G and AF Micro-NIKKOR 60mm f/2.8D. Below is the image shoot with above setting at 1:1 magnification. A lens is always as good as its glass and optical design. 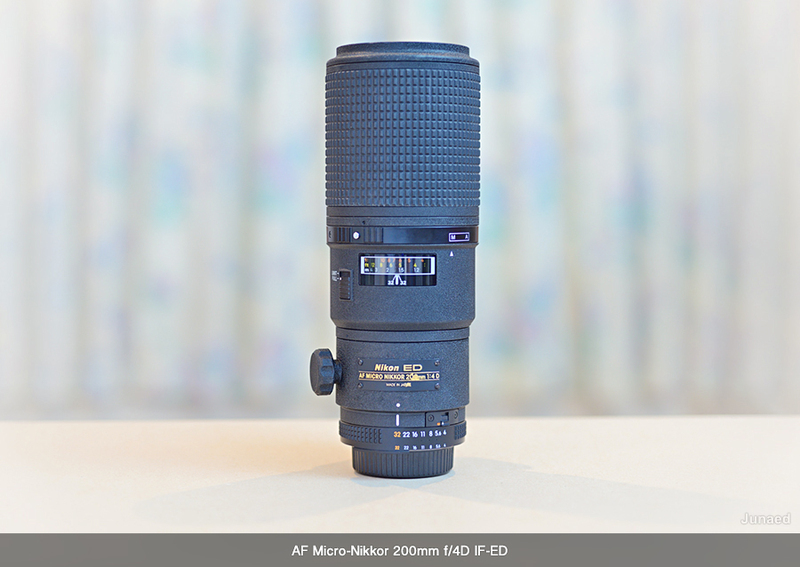 AF Micro-NIKKOR 200mm f/4D IF-ED has an optical design dated back to 1993. And doesn’t have many tags like N, G, VR, FL etc. I guess it doesn’t need any of those. It rocks when images quality matters without any of those fancy title. Having used many pro grade glasses from Nikon I was not expecting anything special. But I was amazed by its performance. At wide open aperture sharpness was very good from centre to corner. Stopping down at 5.6 and above, lens is nothing less than excellent. There is hardly any distortion. The images are crispy sharp. The contrast, colour all are exactly how its suppose to be. I wish all my modern lenses had no fancy title, instead should have inherited this sort of outstanding optical design and glass. If you are oriented with optical problems like chromatic aberration, fringes etc. You will know how badly it affects your image. And this lens has all these issues under control. So I don’t have to worry about correcting them in post processing. 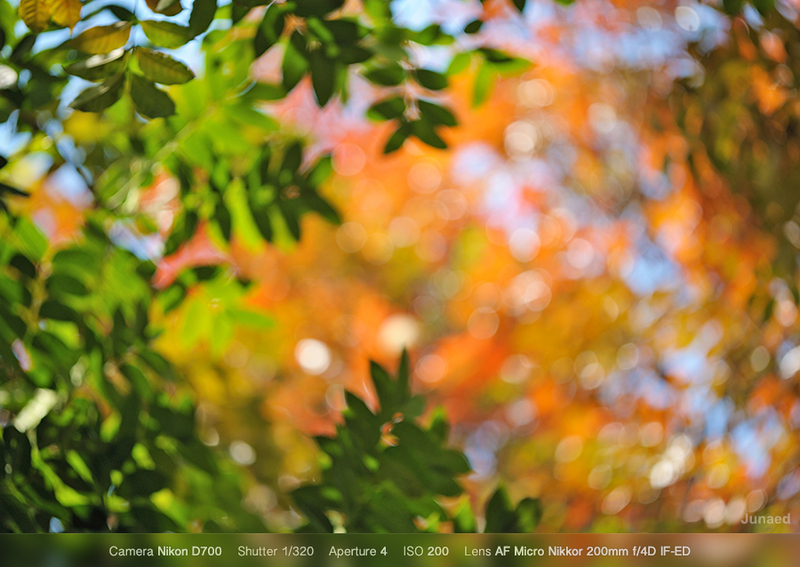 One other thing I am very much pleased about this lens is its Bokeh. It produces very smooth background in macro work. 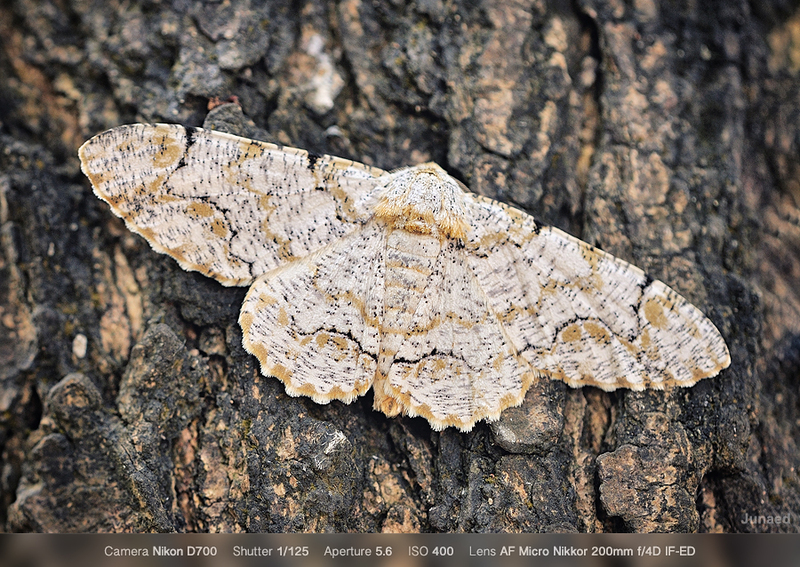 When compared to 105mm Macro and 60mm Macro, none generated as beautifully as the 200mm Micro did. In outdoor shooting in bright light with out of focus background the bokeh generated is also good (see example below). In the following video you can see how smooth background it generates at very close distance. We all keep a wide lens for group images. And then a Tele lens like 70-200 for portraits. A wide lens can never generate the beauty of a portrait image which a tele lens generates. And a Tele lens can’t create the detail that a wide shoot needs. 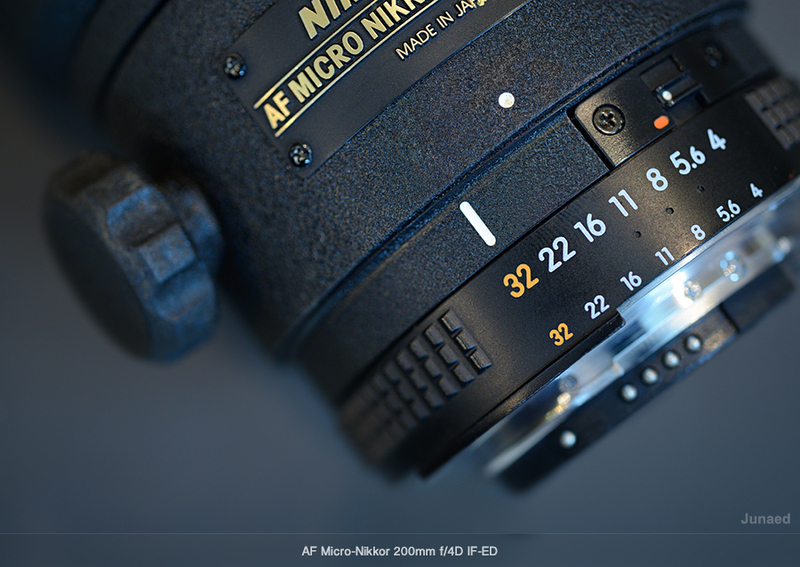 This is exactly how I felt about the AF Micro-Nikkor 200mm f/4D IF-ED. 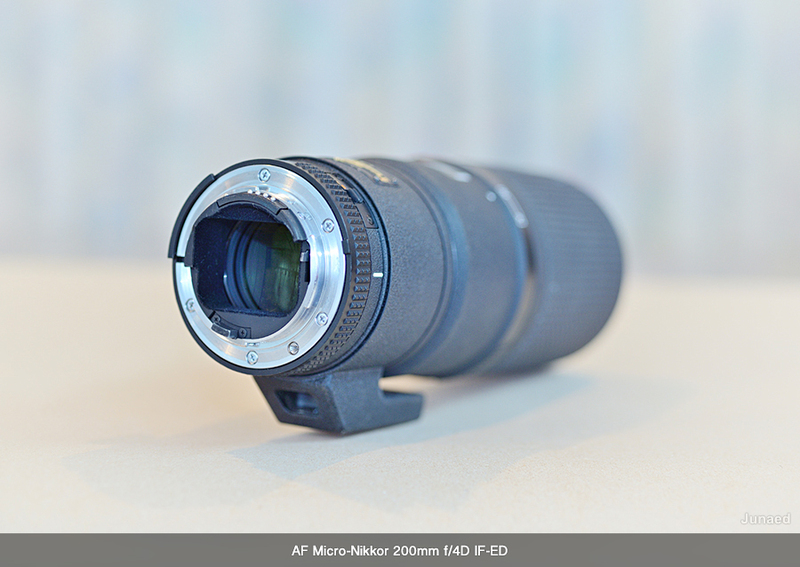 In the world of macro photography AF Micro-Nikkor 200mm f/4D IF-ED is a Tele lens that can create portrait of a macro subject with outstanding smooth background. While AF Micro-Nikkor 60mm f/2.8D is like a wide lens for macro subject, should be used when wide field of view is needed. 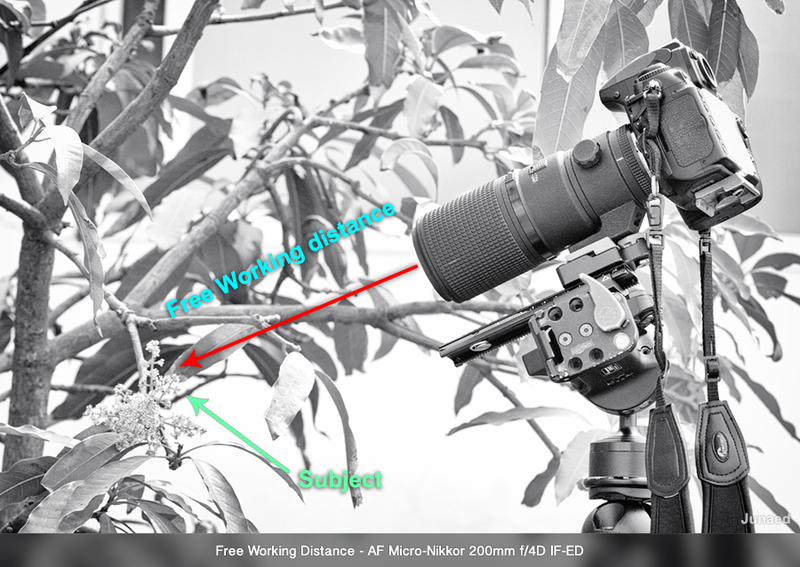 Due to its super sharp image from corner to corner and very good working distance its highly recommended for serious macro work. Don’t forget its highly expensive as well, at around USD 1700. The build quality is superb, better than most modern lenses. This is why I don’t want Nikon to update this lens. Its will be extremely difficult to surpass its overall quality and performance with a new lens. 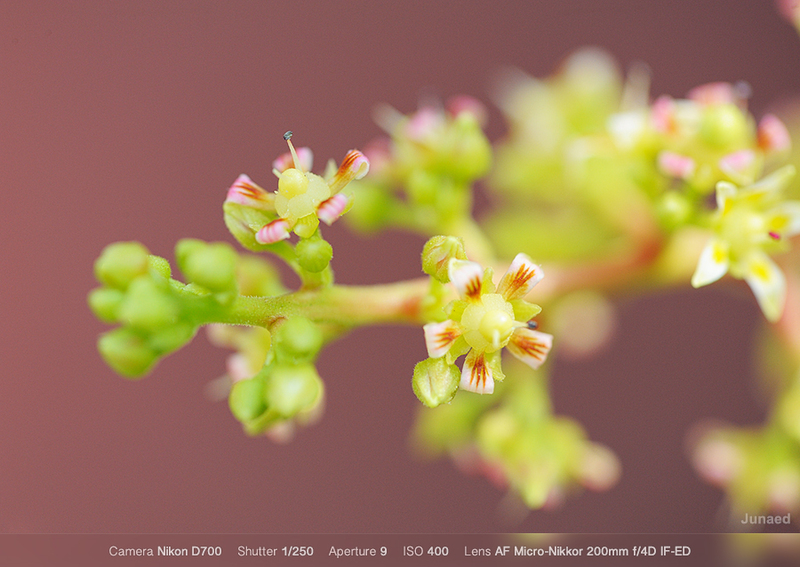 Highly recommended for Serious Macro Photography. Dimensions : 3.0 in x 7.6 in.